This is a list of rulers of Bosnia, containing bans and kings of Medieval Bosnia. 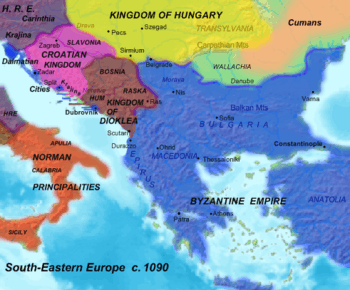 Duklja He was appointed governor of Bosnia by King Constantine Bodin of Dioclea (r. 1081–1101), his kinsman, sometime between 1082-5. 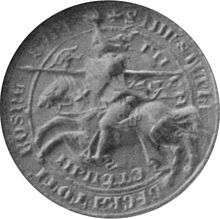 In 1299, Paul I Šubić of Bribir took the title Ban of Bosnia (Bosniae dominus) and named his brother Mladen I Šubić of Bribir as the Bosnian Ban. Mladen was Bosnian Ban from 1299–1304. From 1299 Mladen I was in war with Stephen I. 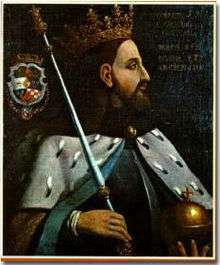 In 1305, Paul Šubić took the title Lord of all of Bosnia (totius Bosniae dominus). 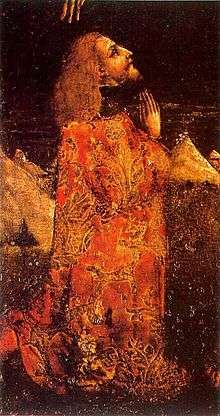 Paul was from 1305–1312 Lord of all of Bosnia. 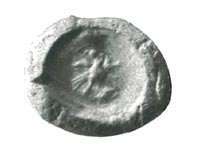 All Bosnian kings added the honorific Stephen to their baptismal name upon accession.